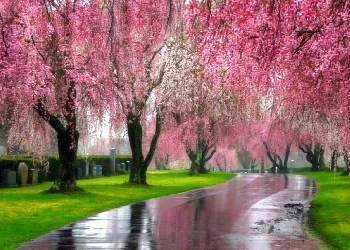 粉, 粉色 Trees. . Wallpaper and background images in the 粉（色） club tagged: pink flowers leaves trees. This 粉（色） photo contains 榉木, 山毛榉树, 山毛榉, 槲树, 活橡树, 橡树, and 树.